E-mail marketing has taken a bit of a bashing just lately but the main reason is because it usually isn’t done right in the first place and so produces poor results. Many people using e-marketing now have a DIY package which they use without knowing what will and won’t work then wonder why the results disappoint. 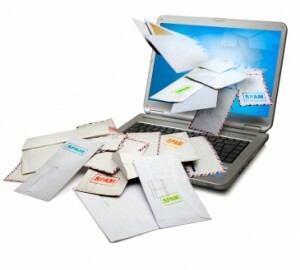 E-mail marketing is interruption marketing. The person receiving it is doing something else at the time. For this reason we need to explain the benefit of reading the rest of the e-mail in the first sentence. Basically, we’ve got about four seconds tops to stop them deleting our message. Another common mistake is with graphics and pictures of any sort. Most people set their e-mail with a viewing pain which displays typically the top third or so of the e-mail. If this area is designated to showing a picture of our shiney new product the only thing our recipient will see is the little symbol in the corner telling him or her to download the picture. He won’t bother! There are lots of other common mistakes we must avoid if our e-marketing is to be a success but let’s now concentrate on the do’s instead of the don’ts…………..
Subject Line – Very, very important element. It needs to be good enough to make the recipient want to open the whole e-mail. Four second rule – you now know what that is! The first sentence needs to be about them, not you! If you’re going to use pictures (sometimes essential I know) then make sure they appear in the bottom two thirds of the e-mail. Don’t crowd your message – often a simple text based message with little or no bells or whistles can be the most effective. Call to action – tell them what you want them to do – preferably at least twice. If you’re not sure what you want the next step to be they’ll do nothing. Have a deadline – if you act before the 31st March you’ll receive this lovely set of Chrystal glasses worth £149.00 absolutely free. Also helpful can be a dedicated phone number than can be hooked onto your existing lines but will produce a separate report showing how many calls are received etc. This is very helpful to monitor activity and to accurately gauge what return you’re getting form your –e-mail activities. One of the most important elements of e-marketing is choosing your audience. You can choose by region, post code, industry (SIC) coding, number of employees and turnover. For business too consumer data you can choose age, income bracket and area. If you’re unsure then simply look at your current client list for an indication of where to point your attention. So far, so good. We’re recipient has opened our e-mail and done what we wanted them to do. We now need to be ready with the follow up procedures to secure the sale. This could be further information, available dates for appointments, sending out free samples or organising demonstrations. Whatever it is it needs to be ready so we don’t lose momentum. It would be a shame to go to all this trouble only to find that we’ve lost the sale because we weren’t ready to follow up. We need to know how this campaign went from start to finish so we can learn from it and improve for next time. Only by recording all activity, even that which lead to ‘nothing,’ will we give ourselves an accurate picture of what went on. Also, details of those who didn’t buy now but showed interest can be harvested for future drip marketing campaigns and future consideration. The data you collect is valuable to you so you need to store it carefully. We need to decide on the overall style we want to adopt. Newsletter, special offer, formal text based letter, humorous; these are all acceptable as long as they are done well and adhere to the above criteria. Once you’ve completed your e-mail you need to test it out on friends, family, colleagues. Get them to be honest and listen to the feedback. You will learn what works and what doesn’t quite quickly. So, in conclusion. E-marketing can work and work very well if done right. We can either help you devise your own e-marketing strategy on a consultation basis or design and execute a campaign around your individuals’ needs. This can obviously be incorporated into a comprehensive marketing strategy encompassing telesales and other marketing methods. As always please ask for more information on this or any other service offered by Newton Fox.